On community news, we're preparing an important announcement for the community about the state of the game, which will arrive in the following week. Sadly, we don't have anything to show, but it's a very important point for this news since most of the work time was used in get them up to speed for a soon~ish release on the game. Animations are the main point, since the character model itself have been finished a long time ago, so we're heading closer to deployment as we work to get them ready and workable for all states and weapon's usage. One of the pending-to-release talents is the hook, so we bring you the model of the item in-game, while we work and finish the talent itself. 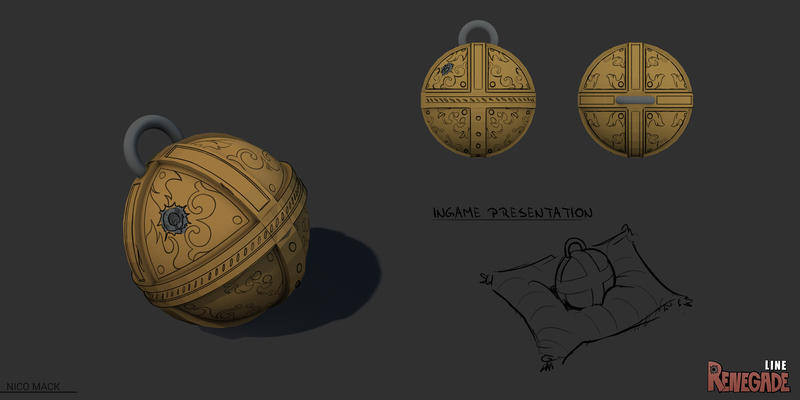 We have this idea that a special item should be set for a KoH game mode, so here is the concept art of said item, with specifics coming at a later date! Yes, we are on Reddit too, be sure to pay us a visit! Don't forget to join our Discord server ! cant wait for new models to arrive. Yay i hope the new character models will come soon!